There are many cases in the Universe, such as imploding stars or neutron star collisions, that are strongly suspected of creating high-energy bursts of electromagnetic energy. Black hole mergers aren’t supposed to be one of them, but the observational data may yet surprise us. Image credit: NASA / Skyworks Digital. Gravitational waves and electromagnetic ones don’t need to go together. But physics says it’s possible; what do the observations say? Billions of years ago, two black holes much more massive than the Sun — 31 and 19 solar masses each — merged together in a distant galaxy far across the Universe. On January 4th of this year, those gravitational waves, traveling through the Universe at the speed of light, finally reached Earth, where they compressed and stretched our planet by the width of no more than a few atoms. Yet that was enough for the twin LIGO detectors in Washington and Louisiana to pick up the signal and reconstruct exactly what happened. For the third time ever, we had directly detected gravitational waves. Meanwhile, telescopes and observatories all over the world, including in orbit around Earth, were looking for an entirely different signal: for some type of light, or electromagnetic radiation, that these merging black holes might have produced. Illustration of two black holes merging, of comparable mass to what LIGO has seen. The expectation is that there ought to be very little in the way of an electromagnetic signal emitted from such a merger, but the presence of strongly heated matter surrounding these objects could change that. Image credit:Cornell SXS, the Simulating eXtreme Spacetimes (SXS) project (http://www.black-holes.org). According to our best models of physics, merging black holes aren’t supposed to emit any light at all. A massive singularity surrounded by an event horizon might emit gravitational waves, due to the changing curvature of space time as it orbits an inspirals with another giant mass, in line with General Relativity’s predictions. Because that gravitational energy, emitted as radiation, needs to come from somewhere, the final black hole post-merger is about two solar masses lighter than the sum of the originals that created it. This is completely in line with the other two mergers LIGO observed: where around 5% of the original masses were converted into pure energy, in the form of gravitational radiation. The masses of known binary black hole systems, including the three verified mergers and one merger candidate coming from LIGO. Image credit: LIGO/Caltech/Sonoma State (Aurore Simonnet). But if there’s anything outside of those black holes, such as an accretion disk, a firewall, a hard shell, a diffuse cloud, or any other possibility, the acceleration and heating of that material could conceivably create electromagnetic radiation traveling right alongside those gravitational waves. In the aftermath of the first LIGO detection, the Fermi Gamma-ray Burst Monitor made headlines as they claimed to detect a high energy burst of radiation coincident within a second of the gravitational wave signal. Unfortunately, ESA’s Integral satellite not only failed to confirm Fermi’s results, but scientists working there uncovered a flaw in Fermi’s analysis of their data, completely discrediting their results. Artist’s impression of two merging black holes, with accretion disks. The density and energy of the matter here should be insufficient to create gamma ray or X-ray bursts, but you never know what nature holds. Image credit: NASA / Dana Berry (Skyworks Digital). The second merger held no such hints of electromagnetic signals, but that was less surprising: the black holes were of significantly lower mass, so any signal arising from them would be expected to be correspondingly lower in magnitude. But the third merger was large in mass again, more comparable to the first than the second. While Fermi has made no announcement, and Integral again reports a non-detection, there are two pieces of evidence that suggest there may have been an electromagnetic counterpart after all. The AGILE satellite from the Italian Space Agency detected a weak, short-lived event that occurred just half a second before the LIGO merger, while X-ray, radio and optical observations combined to identify a strange afterglow less than 24 hours after the merger. Our galaxy’s supermassive black hole has witnessed some incredibly bright flares, but none as bright or long-lasting as XJ1500+0134. These transient events and afterglows do occur for quite some time, but if they’re associated with a gravitational merger, you’d expect the arrival time of the electromagnetic and gravitational wave signals to be concurrent. Image credit: NASA/CXC/Stanford/I. Zhuravleva et al. If either of these were connected to the black hole merger, it would be absolutely revolutionary. There is so little we presently know about black holes in general, much less merging black holes. We’ve never directly imaged one before, although the Event Horizon Telescope hopes to grab the first later this year. We’ve only just this year determined that black holes don’t have hard shells encircling the event horizon, and even that evidence is only statistical. So when it comes to the possibility that black holes might have an electromagnetic counterpart, it’s important to keep an open mind, to look, and to go wherever the data takes us. Distant, massive quasars show ultramassive black holes in their cores, and their electromagnetic counterparts are easy to detect. But it remains to be seen whether merging black holes, particularly of these lower-mass (under 100 Suns) mergers, emit anything detectable. Image credit: J. Wise/Georgia Institute of Technology and J. Regan/Dublin City University. Unfortunately, neither one of these observations provide the necessary data to take us to a place where we’d conclude that merging black holes really do have a light-emitting counterpart. It’s very difficult to get compelling evidence in the first place, since even the twin LIGO detectors, operating with their incredible precision, can’t pinpoint the location of a gravitational wave signal to better accuracy than a constellation or three. Since gravitational waves and electromagnetic waves both travel at the speed of light, it’s extraordinarily unlikely that there would be nearly a 24 hour delay between a gravitational wave signal and an electromagnetic signal; in addition, that transient event appears to occur at a distance far too great to be associated with the gravitational wave event. The observational field-of-view of the AGILE observatory during the moment of the LIGO observations (in color), with the possible location of the gravitational wave source shown in the magenta outlines. But the AGILE observations may potentially provide a hint that something interesting is going on. At the moment that the gravitational wave event occurred, AGILE was pointed at a region of space that contains 36% of the candidate LIGO region. And they do claim an “excess of detected X-ray photons” coming from somewhere on the sky over the standard, average background. But when you look at the data yourself, you have to ask yourself: how compelling is this? Three critical figures, showing the raw data of the alleged ‘signal’ along with the background of X-ray emissions observed by the AGILE satellite, from the recently submitted publication, AGILE Observations of the Gravitational Wave Source GW170104. Over a few seconds before-and-after the LIGO merger, they pulled out an interesting event that they identify as “E2” in the three charts above. After doing a full analysis, where they account for what they saw and what sort of random fluctuations and backgrounds just naturally occur, they can conclude that there’s about a 99.9% chance that something interesting happened. In other words, that they saw an actual signal of something, rather than a random fluctuation. After all, the Universe is full of objects that emit gamma rays and X-rays, and that’s what the background is made of. But was it related to the gravitational merger of these two black holes? Computer simulation of two merging black holes producing gravitational waves. The big, unanswered question is whether there will be any sort of electromagnetic, light counterpart to this signal? Image credit: Werner Benger, cc by-sa 4.0.
and that occurs with an offset to the actual emission of gravitational waves. The 30-ish solar mass binary black holes first observed by LIGO are very difficult to form without direct collapse. Now that it’s been observed twice, these black hole pairs are thought to be quite common. But the question of electromagnetic emission from these mergers is not yet settled. Image credit: LIGO, NSF, A. Simonnet (SSU). Also, everything we see is perfectly consistent — and arguably, more consistent — with the notion that merging black holes don’t have any electromagnetic counterparts at all. But the truth about it all is that we don’t have sufficient data to decide just yet. With more gravitational wave detectors, more black hole mergers of high masses, better pinpointing of the location, and better all-sky coverage of transient events, we just might find out the answer to this. 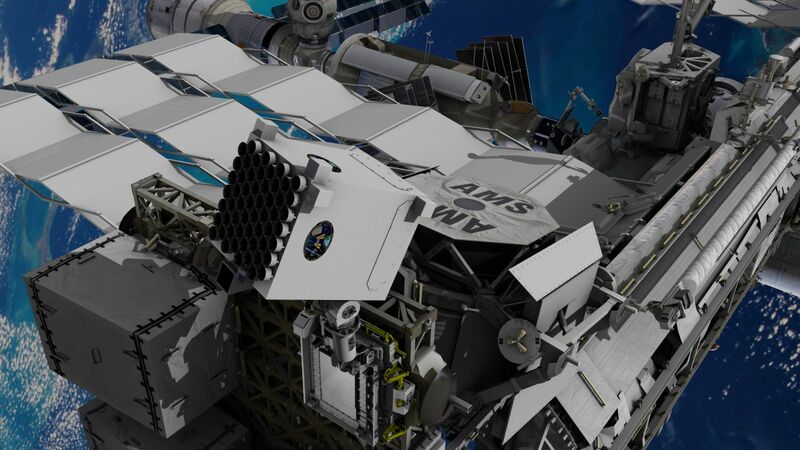 If the missions and observatories proposed to collect this data are successfully built, operated, and (where necessary) launched, then 15 years from now, we can expect to actually know the scientific answer for certain. Monash University researchers have identified a new concept – ‘orphan memory’ – which changes the current thinking around gravitational waves. The research, by the Monash Centre for Astrophysics, was published recently in Physical Review Letters. Einstein’s theory of general relativity predicts that cataclysmic cosmic explosions stretch the fabric of spacetime. The term ‘orphan’ alludes to the fact that the parent wave is not directly detectable. “This realisation means that LIGO [or e/Lisa] may be able to detect sources of gravitational waves that no one thought it could,” said Dr Lasky. Monash University (/ˈmɒnæʃ/) is an Australian public research university based in Melbourne, Australia. Founded in 1958, it is the second oldest university in the State of Victoria. Monash is a member of Australia’s Group of Eight and the ASAIHL, and is the only Australian member of the influential M8 Alliance of Academic Health Centers, Universities and National Academies. Monash is one of two Australian universities to be ranked in the The École des Mines de Paris (Mines ParisTech) ranking on the basis of the number of alumni listed among CEOs in the 500 largest worldwide companies. Monash is in the top 20% in teaching, top 10% in international outlook, top 20% in industry income and top 10% in research in the world in 2016. The 2016 Kavli Prize laureates discuss the struggle to detect gravitational waves and how their discovery is changing our understanding of the universe. ALBERT EINSTEIN MADE MANY BOLD PREDICTIONS. One that even he thought would never be confirmed was the existence of gravitational waves. His general theory of relativity held that the movement of massive objects, such as black holes—another wild consequence of relativity—would create “ripples” in the fabric of space-time. Should any of these ripples, or gravitational waves, reach Earth, they would be so astonishingly tiny that directly measuring them looked hopeless. Yet in the same spirit of curiosity that drove Einstein, scientists did not give up the hunt. In the 1970s, breakthroughs by physicists Ronald W.P. Drever, Kip S. Thorne and Rainer Weiss led to the development of an experiment that finally sensed gravitational waves. In 2015, the Laser Interferometer Gravitational-Wave Observatory, or LIGO, registered the slightest of jolts, just one-ten-thousandth the diameter of an atomic nucleus, as passing gravitational waves locally warped space-time. 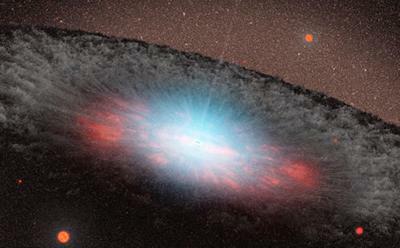 The distinctive signature of the waves showed they had emanated from the collision of a pair of monstrous black holes, 1.3 billion light-years away. LIGO made this historic detection a century after Einstein unveiled general relativity. A second detection of merging black holes followed in December 2015. Never before had these sorts of events been discernible to science, demonstrating how LIGO has opened a whole new window on the exploration of the universe. “For the direct detection of gravitational waves,” Drever, Thorne and Weiss received the 2016 Kavli Prize in Astrophysics. KIP S. THORNE – The Feynman Professor of Theoretical Physics at the California Institute of Technology. RAINER WEISS – Emeritus Professor of Physics at the Massachusetts Institute of Technology (MIT) and a member of the MIT Kavli Institute for Astrophysics and Space Research. Ronald W.P. Drever was not available to participate in the conversation, due to illness. The conversation has been amended and edited by the laureates. THE KAVLI FOUNDATION: Rai, let me start with you. Earlier this year, after the LIGO team announced the first direct detection of gravitational waves, I asked you what it felt like. After all, you had spent four decades and taken hundreds of scientists along with you on the project. You said you felt like a monkey had jumped off your back, but the monkey was still there, walking along on the sidewalk. Now with the second detection made by LIGO, do you feel unburdened? Is the monkey finally out of the picture? RAI WEISS: The second detection certainly was wonderful. It shows what we reported in February was not a unique event and that maybe we can do gravitational wave astronomy. That’s really what we’re after. The monkey is still yacking in my ear, though, because we’re not at design sensitivity yet for LIGO. We’re about a factor of three off of what should be possible, and for months now, we’ve been stuck not really understanding where a particular noise in the data is coming from. It’s beginning to grate on us. KIP THORNE: Rai, you’ve advanced through this kind of thing before many times with LIGO. THORNE: It’s a standard issue that great experimenters like you and your team face. You will lick it, but it’s a pain in the meantime! WEISS: It leads to sleepless nights, trying to figure out what you haven’t thought of. But look, Kip’s right. We’ll find the source of this noise. We have a terrific group of young people who are really sharp and now understand the apparatus very well, but they are also mystified. TKF: Is this particular noise necessarily an instrument issue, or could it be the signature of an astrophysical source of gravitational waves we don’t understand? WEISS: I can’t completely rule out that it’s a foreground noise of gravitational waves. That would be quite surprising because there isn’t anything we know of astrophysically that could be creating this signal. TKF: Kip, as for you, how are you feeling about LIGO now that it has made these two detections? THORNE: I feel a profound sense of satisfaction and great enthusiasm for the future. Satisfaction because we laid our bets in the right direction on the experimental side, and also on the side of the computer simulations that needed to be done to be ready to extract information about gravitational wave sources when the waves came. I had thought since the early 1980s that the first thing we would see is what we saw, the signature of black holes merging. It all worked out the way that I had expected. TKF: When did you first seriously discuss working together on the gravitational wave detector that would eventually become LIGO? Didn’t it involve a very late night sharing a hotel room in Washington, D.C., in 1975? What happened during that conversation that set you on the path to eventually making LIGO a reality? WEISS: I can tell the story because it’s vivid in my mind. I had, and have, this enormous regard for Kip. He was the visionary who saw what we might detect. So I was running a committee for NASA, looking at what might be the role of the space program in cosmology and gravitation. I desperately wanted Kip for the committee, but he was busy. He very politely said “no” to me. I did have this brilliant idea, though, that maybe he could come and give testimony to the committee. He agreed he would do that! So Kip came to Washington, D.C., but he didn’t have a hotel room, and it was in the middle of the summer. I don’t know if you have ever been in Washington in the summer, but all the high schools send their kids there. It’s just impacted. So Kip and I shared my room. He told me that night he was thinking of building an experimental group at Caltech to look into gravitational radiation, because he already had this wonderful theoretical group. I explained the interferometric technique I’d worked on, that LIGO now uses, and after Kip understood what it was and why it could reach the necessary sensitivity to detect gravitational waves, he really got on board. That was a turning point. THORNE: The idea for this kind of a gravitational wave detector was conceived in very bare bones by several people in the ’60s, including Rai. But the reason that Rai is regarded as the principle inventor of interferometric gravitational wave detectors is because in 1972, he wrote this paper that was basically a blueprint for the future and the initial LIGO detectors. He identified all of the major noise sources they would likely face and ways to deal with them. Nevertheless, that paper reached the community and had a huge impact. That was the thing that really got the field started. THORNE: Rai is a modest man and feels uncomfortable, but that is what happened. So yes, that conversation with Rai in the hotel had a huge impact on convincing me that the prospects were good enough. That in part led me to propose to Caltech that they build a group working in this field. 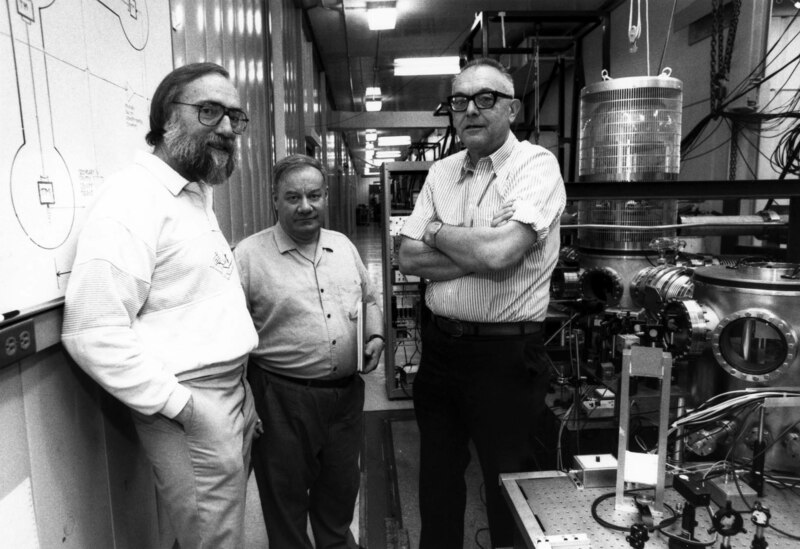 TKF: With the two of you united, now in the late 1970s, on pursuing a LIGO-like gravitational wave detector, how did you get the funding? THORNE: We carried the proposal for my new experimental group to the then-president of Caltech, Marvin Goldberger, who had been a professor at Princeton. He asked a Princeton colleague, Bob Dicke, who had been a mentor to Rai and an inspiration to me when I was a grad student: Is this thing worth doing? Bob gave it a ringing endorsement. That got Caltech to buy-in. 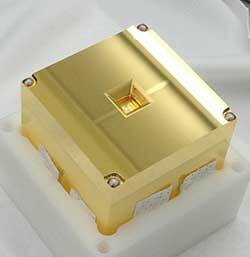 They invested roughly $2 million to initiate the construction of a prototype gravitational wave detector. WEISS: That was a turning point. At the time, we have to admit, the field looked pretty flaky. Joseph Weber, from the University of Maryland, had recently done experiments with these aluminum cylinders and claimed he had detected gravitational waves, but that was widely discredited. Consequently, here was a field whose technology was beyond belief, and we weren’t sure what the gravitational wave sources would even be—that was too much for a lot of institutions, including the one I came from. MIT got on board of course later on, of course, and has been ever since, but it was Caltech first. THORNE: It was a substantial buy-in by Caltech. That, plus hiring Ron Drever, who had been suggested by Rai and by some other people, got us going. TKF: Speaking of Ron, your fellow 2016 Kavli Prize winner, when he joined up with you guys in 1979, what sort of critical insight did he bring to the table? And how did having him onboard change your creative chemistry? WEISS: Ron came up with some very clever ideas, and he was able to convince others that they were good ideas. I’ll tell you what they were. We were having a lot of trouble with scattered light in the arms of the interferometer. Ron had an instinct that Fabry-Perot cavities, which are a part of the laser setup and consist of two mirrors facing each other, would help. And Kip did some calculations to show that indeed light scattering problems would be much less serious in a Fabry-Perot. THORNE: Ron pushed hard that we should use those cavities in the arms of the interferometers for LIGO. That was a principal contribution. WEISS: You have to remember Ron did not think in equations as much as some of us back then. He is a visual, brilliant guy who imagines things in his head and in pictures. That’s the best way I can describe him. That’s something that was hard for some of us because he couldn’t sometimes explain his pictures so well. And there were two other seminal ideas he had that are very important. Ron helped come up with the idea of putting a mirror between the laser and the interferometer itself, to make sure that the interferometer got all the light that the laser put out, and that everything that was reflected by the interferometer to the laser would be sent back into the interferometer by this particular mirror. It was effectively the same thing as getting a more powerful laser. The second idea Ron had, along with other people, was a thing we’re only beginning to use now on LIGO. It’s putting another mirror in the interferometer between the detector and the beam splitter, which helps us get better data. It was added to the second, advanced version of LIGO, which we just started using last year and that made the first gravitational wave detection. TKF: How hard was it to keep the LIGO project on track? Clearly there was creative tension in formulating an unprecedented, multi-million dollar scientific experiment to snag gravitational waves. THORNE: There were serious conflicts, and I was in the middle trying to mediate them over a period of three years, between ’84 and ’87. We tried to run LIGO with a steering committee at the top. Then we were told in no uncertain terms that we had to get a single director. Robbie Vogt, of Caltech, then took over. Once that happened, it was a new ballgame. WEISS: I think part of this struggle was the transition from table-top physics, like in a university lab, to big-time, big-budget physics. We almost killed ourselves in the process, but Robbie helped us write a first-class proposal, understandable not only by experts, that got money from the National Science Foundation in 1988. Then Robbie organized the project to improve the collaboration between the disparate groups at Caltech and at MIT. THORNE: Then in 1994, Barry Barish became laboratory director. He transformed the entire LIGO project from a small, troubled R&D effort into what it is today. He recognized it had to be expanded from what was roughly 40 people at Caltech and MIT into a collaboration of many institutions and hundreds of people in order to pull it off successfully. It was so complex and so difficult that it required this much larger collaboration. Barry conceived how to do that. TKF: Kip, you got out of day-to-day involvement with LIGO in the early 2000s to further develop numerical relativity, which uses supercomputers to simulate the behavior of cosmic objects governed by general relativity, such as black holes. How did this work help in understanding the black hole collisions LIGO is witnessing? THORNE: It was very much on our minds that those computer simulations needed to be in hand by the time we might begin to see gravitational waves with LIGO. But in the 1990s, there were huge problems in the field. These great computational scientists could collide two black holes head-on, but when they tried to have the black holes go in orbit around each other, as should happen in Nature, they couldn’t even get them to go around once before the computers crashed. By 2001, I got alarmed because I was expecting that Advanced LIGO would be operational in the early 2010s, roughly a decade into the future. It was not at all clear that the simulations would be in hand by then. So that was when I pulled out of day-to-day involvement with LIGO and initiated a numerical relativity group at Caltech, in collaboration with Cornell, to try to help move this effort along. One of our post-docs, Frans Pretorious, had a huge breakthrough in 2004 that cracked the logjam. So by last year, several research groups could simulate the black hole collisions that produced the waves LIGO saw. Fortunately! Because the waves’ signal power was almost all from moments near the holes’ collision, when numerical relativity is the only way we have to compute the predicted waveforms, for comparison with observation. That was crucial for understanding what LIGO saw. Let me add that just as I was not involved in the experimental work developing LIGO, I also was not involved in the hands-on work on numerical relativity computer simulations. I simply provided vision as to what calculations were important to do and what information was important to extract. WEISS: Now Kip is being too modest. [Laughter] The fact is that I would go to Kip whenever I got stuck. He has this wonderful way of explaining things, and he solved many major problems for us. TKF: Finally, after decades of work, you got to share LIGO’s success with the world earlier this year. Why do you think the detection of gravitational waves captured the public’s imagination so strongly? WEISS: I think the answer has two ingredients: Einstein and black holes. Black holes have some sort of enormous consequence to people who have never heard anything about general relativity. It’s amazing. I walk around and people tell me they’re scared and interested by black holes because they are so big and eat everything. It’s a visceral thing that people somehow want to know about. THORNE: I think we succeeded in getting across the fact that we really are opening up a whole new way of observing the universe, a way that is going to be central to the human race’s exploration of the universe around us, not just for years or decades, but for centuries into the future. TKF: Several other gravitational wave detector experiments are currently underway, such as VIRGO and GEO600, both in Europe. Another, KAGRA, is scheduled to open in Japan in 2018. A third LIGO instrument is under development for operation in India, circa 2023. How will having all these detectors boost the field? WEISS: What we cannot do with LIGO alone is tell you where a gravitational wave source is in the sky. That is enormously important for science. We want to connect gravitational wave detections with the rest of astronomy and do observations using electromagnetic observations—in gamma-rays, x-rays, visible light, infrared and radio—to learn more about where the waves are coming from. With a network of detectors, we can determine where that source is. That is one fundamental reason for having a network. TKF: Looking farther into the future, scientists and engineers are hoping to put a gravitational wave detector in space, sometime in the mid 2030s. Called eLISA, it will consist of three spacecraft a million kilometers apart in a triangle formation. The spacecraft will beam lasers to each other in order to detect passing gravitational waves using interferometry, just like LIGO. What excites you about taking gravitational wave science into space, and what will we detect with eLISA that we cannot detect while earthbound? THORNE: Space-based gravitational-wave observatories will go after waves with wavelengths 10,000 times longer than LIGO detects. That’s the same factor as radio waves to light. So eLISA is like radio astronomy, if LIGO is like optical astronomy. And just as radio waves show us very different things about the universe than light, so eLISA will show us very different things than LIGO. The set of phenomena that can be studied with something like eLISA is really exciting. You’ll be able to look at supermassive black holes, and at things falling into supermassive black holes. You can map out the full space-time geometry of a black hole with exquisite precision. WEISS: There are also projects that want to use pulsars to detect gravitational waves. Pulsars are neutron star remnants of massive stars that send out repeating beams of radiation. The waves pulsars can detect could have wavelengths of about three light years to maybe half a light year, and would come from black holes even larger than eLISA’s. THORNE: That would reveal the biggest black holes in the universe. And with another technique, studies of the polarization of cosmic microwaves, we will also have a shot at observing ultra-long wavelength gravitational waves from the earliest moments of the universe. So there are these four different wavelength bands, including LIGO’s, that will all be opened within 20 years and probably three of those four within the next 10 years. A key thing I want to point out is that eLISA is a stripped-down version of the original LISA, which was a joint project of the European Space Agency and NASA. But NASA stopped funding it in 2011. I think eLISA is dangerously underpowered for the physics it is intended to do. WEISS: It’s absolutely critical that the United States get back in, and I think that may yet happen. They should not build eLISA. They should build LISA, and I think all the people in Europe believe that, too. I think that’s all going to get straightened out in the next year or two. LISA, by the way, has taken a big step forward. The European Space Agency launched a LISA Pathfinder mission in December and their tests show that they can really do the full LISA experiment. TKF: Getting back to LIGO again, so far it has detected gravitational waves from the mergers of two black holes. What other gravitational waves sources are out there that LIGO can detect? THORNE: As Advanced LIGO’s sensitivity improves by that factor of three that Rai was referring to earlier, we will see three times farther into the universe. That actually works out to being able to observe 3 cubed or about 30 times more of the universe, because there are three dimensions in space. So it’s a huge improvement. At that point, we can expect to see probably a few black hole mergers a week. We also expect to see neutron stars spiral together and merging, and black holes tear neutron stars apart. If we’re really lucky, we’ll at some point see the gravitational waves of a supernova explosion. That’s exciting because we don’t understand what goes on in the core of a massive star during a supernova, when the core implodes and then forms a neutron star. A huge amount of energy is released and somehow that energy is used to blow off the star’s outer layers. But by seeing both the gravitational waves and particles called neutrinos from that event, this problem is very likely to be solved. WEISS: What Kip was just talking about isn’t the end of the line. There will be further improvements to LIGO that improve its sensitivity by yet another factor of three. With that, we’ll get more sensitive tests of general relativity because we’ll have better signal-to-noise ratios. People are also thinking about systems that are even more sensitive. THORNE: Instead of interferometers with four-kilometer-long arms, they could have 40-kilometer-long arms. WEISS: That will actually take us into the realm of cosmology, back in time to when the first black holes formed. But for that you need to change the facilities. That’s a big expensive step and it will clearly be an international project. TKF: LIGO’s discoveries have been roundly received as confirmation of Einstein’s general theory of relativity. Could later detections of gravitational waves actually open up cracks in Einstein’s theory? THORNE: Gravitational waves will test general relativity to high precision in this domain that was never tested before, where spacetime is highly warped and dynamical. Gravity is just very, very strong in these situations. There could be a crack that opens up there. I’m very skeptical, but there are many people who are quite hopeful that that may happen. By the middle and second half of this century, I expect the central piece of cosmological physics that will be explored using gravitational-wave detectors is the first second of the life of the universe. There, we are likely to begin to see some cracks in general relativity. TKF: To wrap up, it’s a poetic coincidence that LIGO made its monumental detection a century after Einstein predicted the existence of gravitational waves. If you were magically to have a coffee with Einstein now, how do you think he would react to the news? WEISS: That’s something I’ve pondered from the very beginning of all this. I am an Einstein devotee—all of us are—but I’ve studied a lot about Uncle Albert. I think he would be absolutely delighted, but the first thing he would ask about is probably the technology. I have a piece of evidence for that. At MIT, a friend of mine, Henry Stroke, ran into Einstein in the street. Henry wanted to explain to Einstein what he was working on, which was nuclear physics. Einstein rolled his eyes and wanted to get away from him. Then my friend said, “Oh, by the way, before you walk away Dr. Albert Einstein, we also work on atomic clocks.” And that stopped Einstein dead in his tracks. Also, as I’ve said before, I would desperately love to see Einstein’s face as we told him about the discovery. THORNE: I also would like to watch Einstein’s reaction, to watch him think through the discovery that was made and his thought processes. I’m sure he would be enormously interested in the phenomena we’re seeing with LIGO, and how that can be used to test his general relativity theory. Einstein was an enormously curious person. ,,,and the successful demonstration by an ESA spacecraft of technologies necessary to detect gravitational waves in space. In 1975 the concept of a ground-based gravitational wave detector “was literally sketched on a napkin at a NASA review panel meeting,” says Ira Thorpe, an astrophysicist at NASA’s Goddard Space Flight Center. It was at this meeting that Rainer Weiss, then an associate professor of physics teaching a course on general relativity at the Massachusetts Institute of Technology, met Kip Thorne, a physicist at Caltech. The two men talked late into the evening about ideas for a gravitational wave detector. What emerged from those initial conversations and many others paved the way for the Laser Interferometer Gravitational-Wave Observatory (LIGO), a National Science Foundation-funded facility managed by MIT and Caltech that started searching for gravitational waves in 2002. In February 2016 LIGO announced the momentous first direct detection of gravitational waves, which were produced by the merger of two black holes in a distant galaxy; a second such detection followed in June. LIGO’s exquisite sensitivity to gravitational waves means that its detectors record many spurious signals from vibrations caused by, for example, traffic and ocean waves. “Ground-based detectors have a hard lower limit on the frequencies they can detect at about 1 hertz because of seismic noise, which limits them to seeing very massive objects moving very fast,” says Charles Dunn, Project Technologist at NASA’s Jet Propulsion Laboratory. Furthermore, LIGO’s ability to detect gravitational waves is limited by the relatively short lengths of its arms, because constructing extremely straight, long tubes on Earth’s curved surface is both difficult and expensive. The next literal jump in technology will be to take gravitational-wave detectors to space; an orbiting gravitational-wave observatory would overcome both the limitations of vibrations and the difficulty of achieving long laser pathlengths. “In space, we can get down to the 0.1 millihertz frequency range, which should allow observation of many more sources, including things that can be seen with more conventional telescopes,” notes NASA’s Dunn. In the 2000s, NASA and ESA collaborated on developing a Laser Interferometer Space Antenna (LISA), a triangular interferometer with arms several million kilometers on a side that would be launched into orbit around the Sun. However, NASA withdrew from the collaboration in 2011 due to budget cuts, and ESA continued to develop the technologies necessary for LISA. “ESA took a gamble,” says Paul McNamara, an astrophysicist at ESA and the deputy project scientist for LISA. “They wanted the science, and they spent a large chunk of money to demonstrate that it was possible.” In 2013, ESA announced a science theme of “The Gravitational Universe” for the third large-class mission (L3) component of its Cosmic Vision 2015 – 2025 program, which solidified LISA’s position in ESA’s long-term planning. Before NASA withdrew from the collaboration, the two agencies had decided to develop a small spacecraft to test the technologies necessary for a successful LISA mission. In December 2015, ESA launched that spacecraft, called LISA Pathfinder [see above], to the L1 Lagrange point 1.5 million kilometers from Earth. One of the primary science goals of LISA Pathfinder was to demonstrate that two paperweight-sized cubes of gold and platinum onboard the spacecraft could be shielded from all forces save for gravity. “LISA Pathfinder shows that we can put a test mass in perfect free fall, which is what we’d need to do a full-scale gravitational-wave detector,” says NASA’s Thorpe, the U.S. lead for data analysis on the LISA Pathfinder mission. The supermassive black holes found at the centre of every galaxy, including our own Milky Way, may, on average, be smaller than we thought, according to work led by astronomer Dr Francesco Shankar. If he and his colleagues are right, then the gravitational waves produced when they merge will be harder to detect than previously assumed. The international team of scientists published their results in Monthly Notices of the Royal Astronomical Society. Supermassive black holes have been found lurking in the cores of all galaxies observed with high enough sensitivity. Despite this, little is known about how they formed. What is known is that the mass of a supermassive black hole at the centre of a galaxy is related to the total mass and the typical speeds (the “velocity dispersion”) of the stars in its host. The very existence of this relationship suggests a close co-evolution between black holes and their host galaxies, and understanding their origin is vital for a proper model of how galaxies and black holes form and evolve. This is because many galaxy evolution models invoke powerful winds and/or jets from the central supermassive black hole to control or even stop star formation in the host galaxy (so-called “quasar feedback”). Alternatively, multiple mergers of galaxies – and their central black holes – are also often suggested as the primary drivers behind the evolution of massive galaxies. Despite major theoretical and observational efforts in the last decades, it remains unclear whether quasar feedback actually ever occurred in galaxies, and to what extent mergers have truly shaped galaxies and their black holes. The new work shows that selection effects – where what is observed is not representative – have significantly biased the view of the local black hole population. This bias has led to significantly overestimated black hole masses. It suggests that modellers should look to velocity dispersion rather than stellar mass as the key to unlocking the decades-old puzzles of both quasar feedback and the history of galaxies. With less mass than previously thought, supermassive black holes have on average weaker gravitational fields. Despite this, they were still able to power quasars, making them bright enough to be observed over distances of billions of light years. 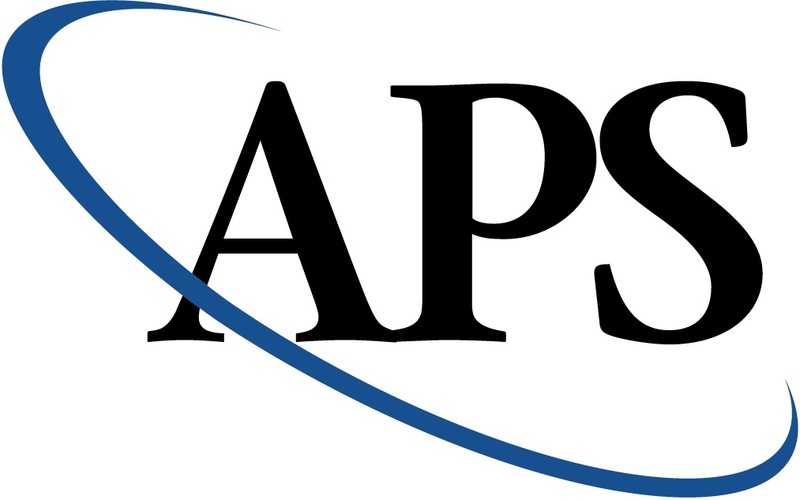 Unfortunately, it also implies a substantial reduction in the expected gravitational wave signal detectable from pulsar timing array experiments. 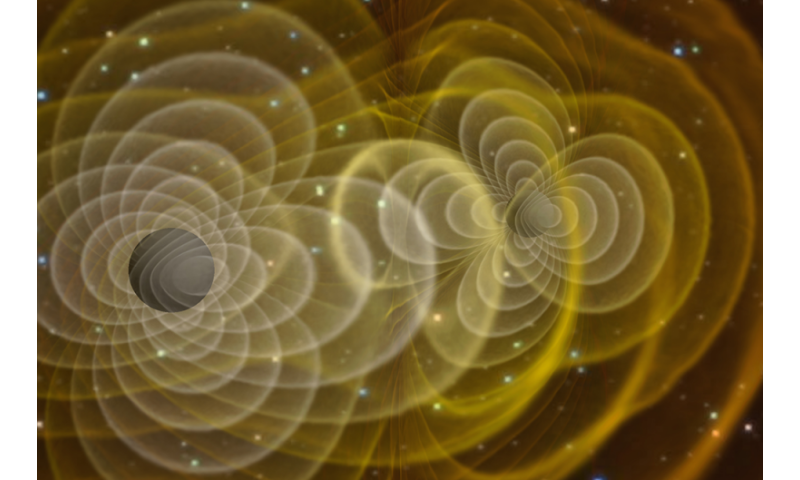 Ripples in spacetime that were first predicted by Albert Einstein in his general theory of relativity in 1915; gravitational waves were finally detected last year and announced by the LIGO team this February. The hope is that coming observatories can observe many more gravitational wave events, and that it will provide astronomers with a new technique for observing the universe. VIRGO Gravitational Wave interferometer, near Pisa, Italy, not yet taking data. Researchers expect pairs of supermassive black holes, found in merging galaxies, to be the strongest sources of gravitational waves in the universe. However, the more massive the pairs, the lower the frequencies of the emitted waves, which become inaccessible to ground based interferometers like LIGO. Gravitational waves from supermassive black holes can however be detected from space via dedicated gravitational telescopes (such as the present and future ESA missions LISA pathfinder and eLISA), or by a different method using ‘pulsar timing arrays’. These devices monitor the collapsed, rapidly rotating remnants of massive stars, which have pulsating signals. Even this method though is still a few years from making a detection, according to a follow-up study by the same team expected to appear in another Monthly Notices paper later this year. Image credit: R. Hurt – Caltech/JPL. After turning on in September of 2015, the twin Laser Interferometer Gravitational-wave Observatories — the LIGO detectors in Hanford, WA and Livingston, LA — simultaneously detected not just one but two definitive black hole-black hole mergers during its first run, despite having reached only 30% of the sensitivity it was designed for. These two events, one of a 36 and a 29 solar mass black hole merging on September 14, 2015, and one of a 14 and an 8 solar mass black hole merging on December 26, 2015, provided the first definitive, direct detections of the gravitational wave phenomena. It’s a remarkable fact, in and of itself, that it took a full century after their predictions for technology to catch up to the theory, and actually catch them. The first gravitational wave event ever directly detected. Image credit: Observation of Gravitational Waves from a Binary Black Hole Merger B. P. Abbott et al., (LIGO Scientific Collaboration and Virgo Collaboration), Physical Review Letters 116, 061102 (2016). But detecting these waves is just the beginning, as a new era in astronomy is now dawning. 101 years ago, Einstein put forth a new theory of gravitation: General Relativity. Instead of distant masses instantaneously attracting one another across the Universe, the presence of matter and energy deformed the fabric of spacetime. This entirely new picture of gravity brought with it a slew of unexpected consequences, including gravitational lensing, an expanding Universe, gravitational time dilation and — perhaps most elusively — the existence of a new type of radiation: gravitational waves. As masses moved or accelerated relative to one another through space, the reaction of space itself causes the very fabric itself to ripple. These ripples travel through space at the speed of light, and when they pass through our detectors after a journey across the Universe, we can detect these disturbances as gravitational waves. The spacetime in our local neighborhood, which can be ever so slightly perturbed by passing gravitational waves. Image Credit: T. Pyle/Caltech/MIT/LIGO Lab. where the orbital changes are severe and significant. This means collapsed objects, like black holes and neutron stars, are the prime candidates. We also need to consider the frequency at which we can detect these objects, which will be roughly equal to the path length of the detector (the arm length multiplied by the number of reflections) divided by the speed of light. For LIGO, with its 4 km arms with a thousand reflections of the light before creating the interference pattern, it can see objects with frequencies in the millisecond range. This includes coalescing black holes and neutron stars in the final stages of a merger, along with exotic events like black holes or neutron stars that absorb a large chunk of matter and undergo a “quake” to become more spherical. A highly asymmetric supernova could create a gravitational wave as well; a core-collapse event is unlikely to make detectable gravitational waves but perhaps nearby merging white dwarf stars could do it! Image credit: Bohn et al 2015, SXS team, of two merging black holes and how they alter the appearance of the background spacetime in General Relativity. We’ve seen black hole-black hole mergers already, and as LIGO continues to improve, we can reasonably expect to make the first population estimates of stellar mass black holes (from a few to maybe 100 solar masses) over the next few years. LIGO is also highly anticipating finding neutron star-neutron star mergers; when it reaches the designed sensitivity, it may see up to three or four of these events each month if our estimates of their merger rates and LIGO’s sensitivity are correct. This could teach us the origin of short-period gamma ray bursts, which are suspected to be merging neutron stars, but this has never been confirmed. Illustration of a starquake occurring on the surface of a neutron star, one cause of a pulsar “glitch.” Image credit: NASA. Asymmetric supernovae and exotic neutron star quakes are fun, if perhaps rare phenomena, but it’s exciting to have a shot at studying these in a new way. But the biggest new advances will come when more detectors are built. When the VIRGO detector in Italy comes online, it will finally be possible to do true position triangulation: to locate exactly where in space these gravitational wave events are originating, making follow-up optical measurements possible for the first time. With additional new gravitational wave interferometers scheduled to be built in Japan and India, our coverage of the gravitational wave sky is slated to improve rapidly in the next few years. But the biggest advances will come from taking our gravitational wave ambitions into space. In space, you’re not limited by seismic noise, rumbling trucks or plate tectonics; you have the quiet vacuum of space as your backdrop. You’re not limited by the curvature of the Earth for how long you can build your gravitational wave observatory’s arms; you can put it in orbit behind the Earth, or even in orbit around the Sun! Instead of milliseconds, we can measure objects with periods of seconds, days, weeks or even longer. We’ll be able to detect the gravitational waves from supermassive black holes, including from some of the largest known objects in the entire Universe. And finally, if we build a large enough, sensitive enough space observatory, we could see the leftover gravitational waves from before the Big Bang itself. We could directly detect the gravitational perturbations from cosmic inflation, and not only confirm our cosmic origin in a whole new way, but simultaneously prove that gravitation itself is a quantum force in nature. After all, these inflationary gravitational waves can’t be generated unless gravitation itself is a quantum field. The success of LISA Pathfinder more than proves this is possible; all it takes is the right investment. llustration of the density (scalar) and gravitational wave (tensor) fluctuations arising from the end of inflation. Image credit: National Science Foundation (NASA, JPL, Keck Foundation, Moore Foundation, related) – Funded BICEP2 Program. There’s currently a hotly contested race as to what will be chosen as the flagship NASA mission of the 2030s. Although many groups are proposing good missions, the biggest dream is a space-based, gravitational wave observatory in orbit around the Sun. A series of these could make our wildest gravitational wave dreams come true. We have the technology; we’ve proved the concept; we know the waves are there. The future of gravitational wave astronomy is limited only by what the Universe itself gives us, and how much we choose to invest in it. But this new era has already dawned. The only question is how bright this new field in astronomy is going to be. And that part of it is completely up to us.